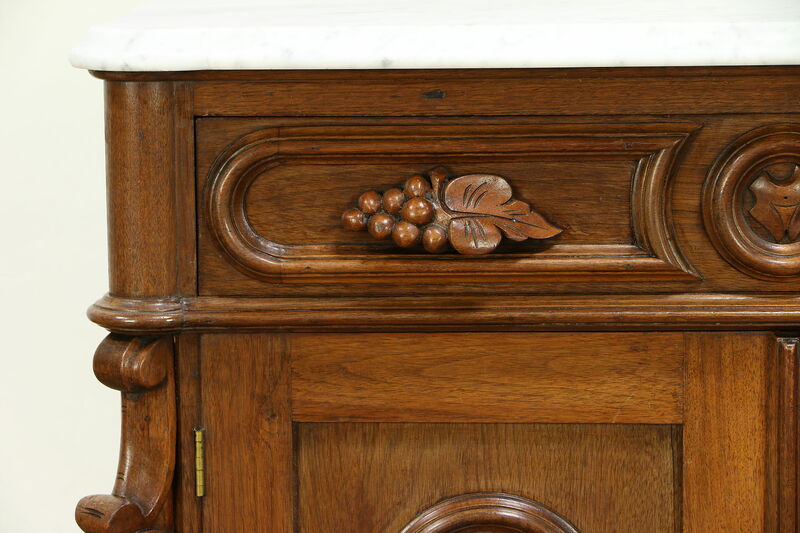 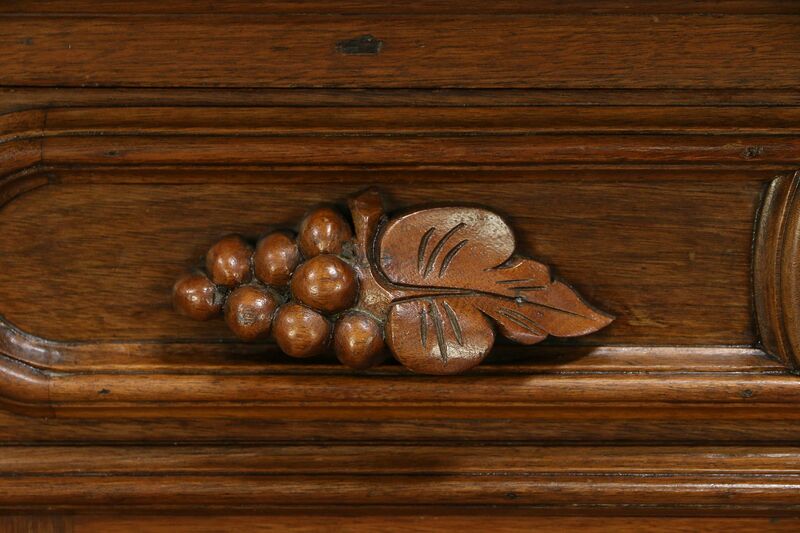 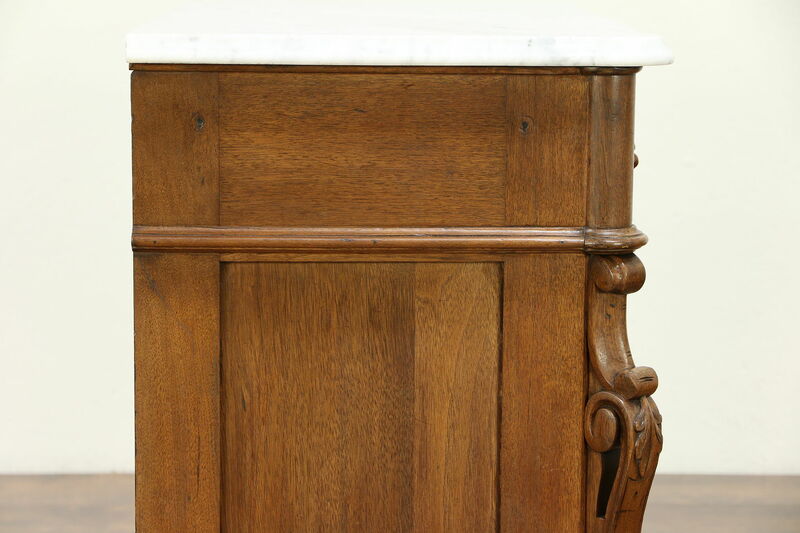 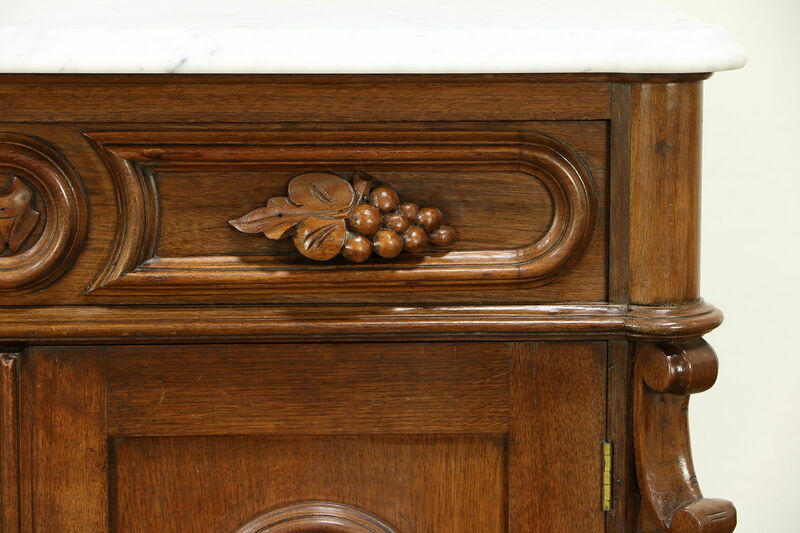 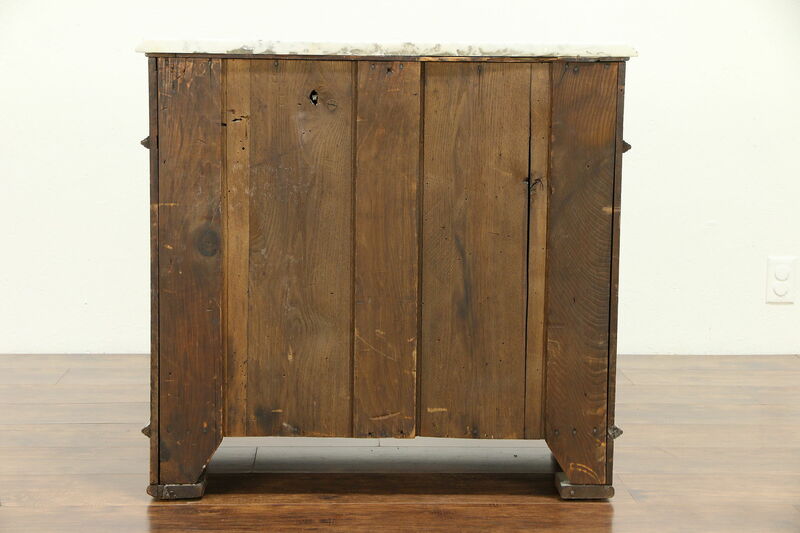 A Victorian period small chest or commode has hand carved grapes and a marble top. 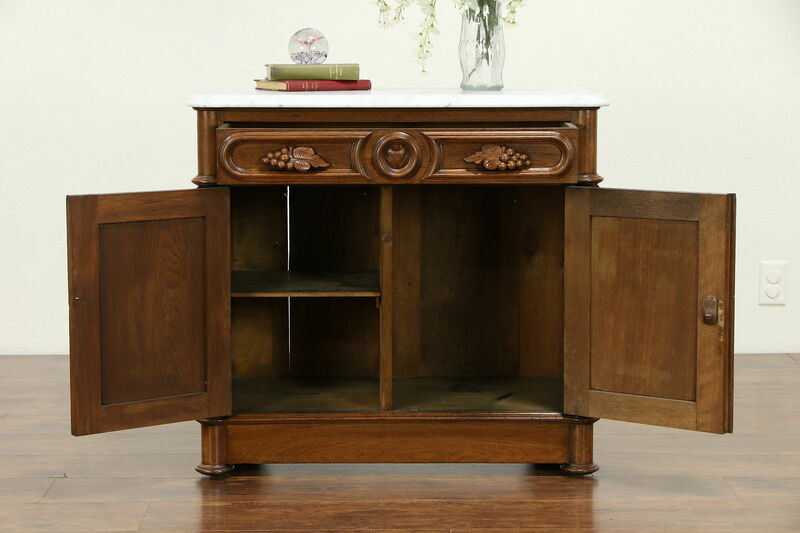 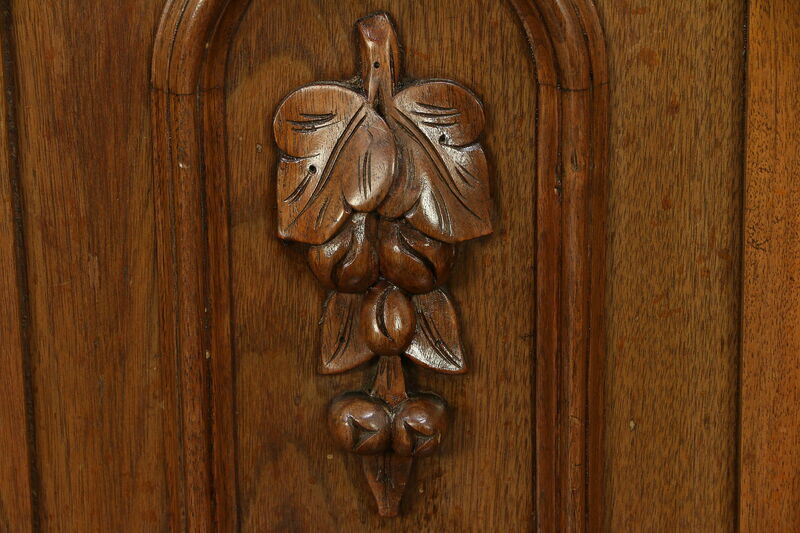 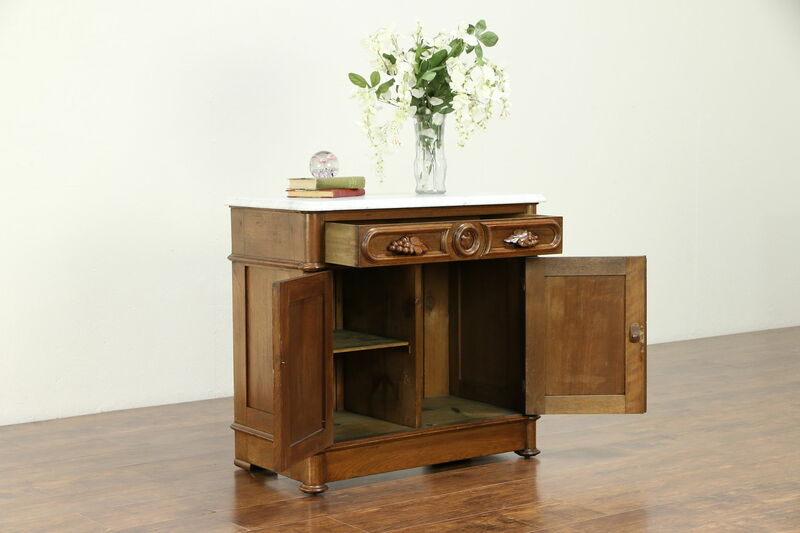 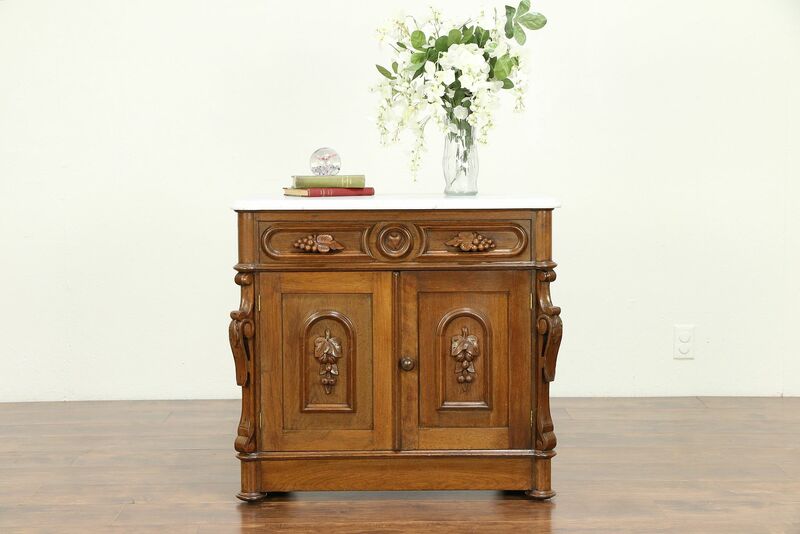 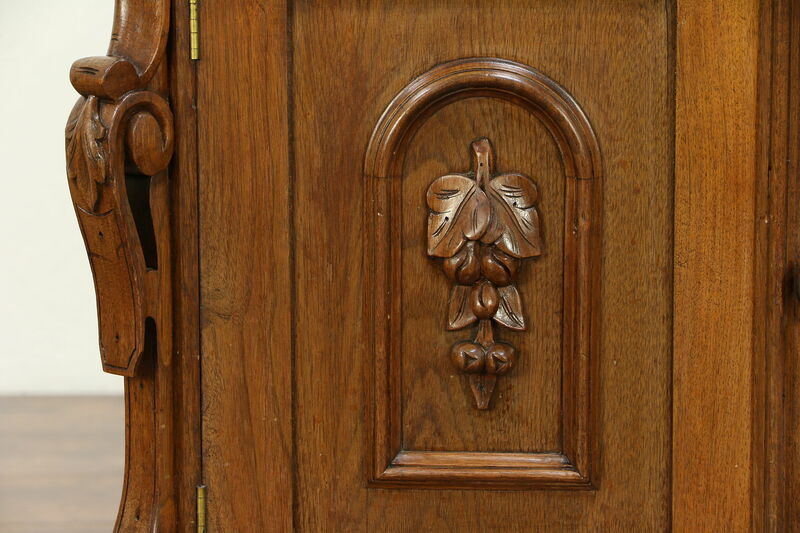 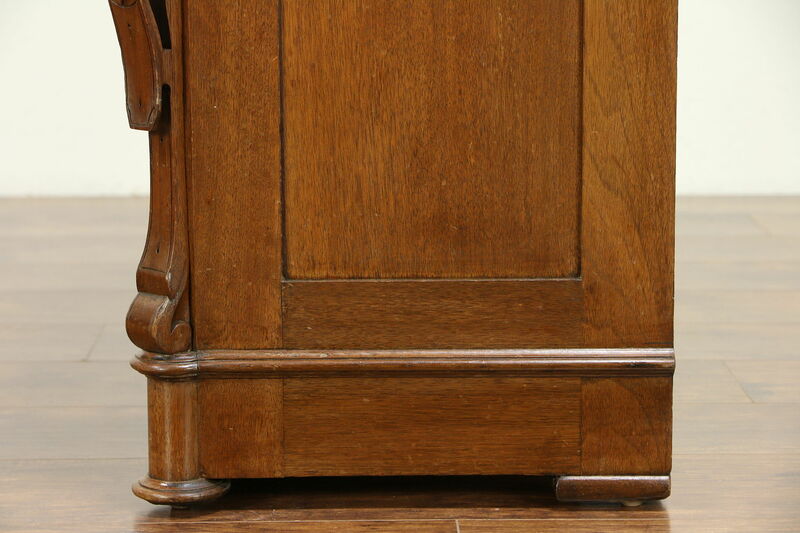 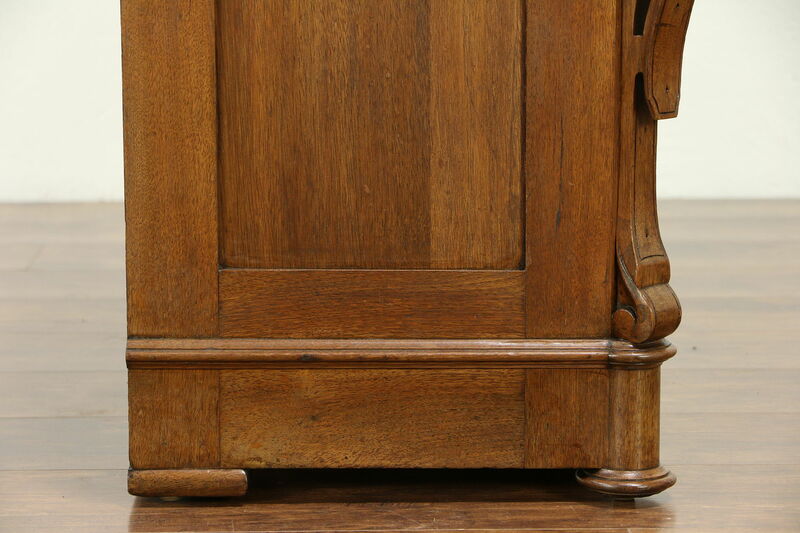 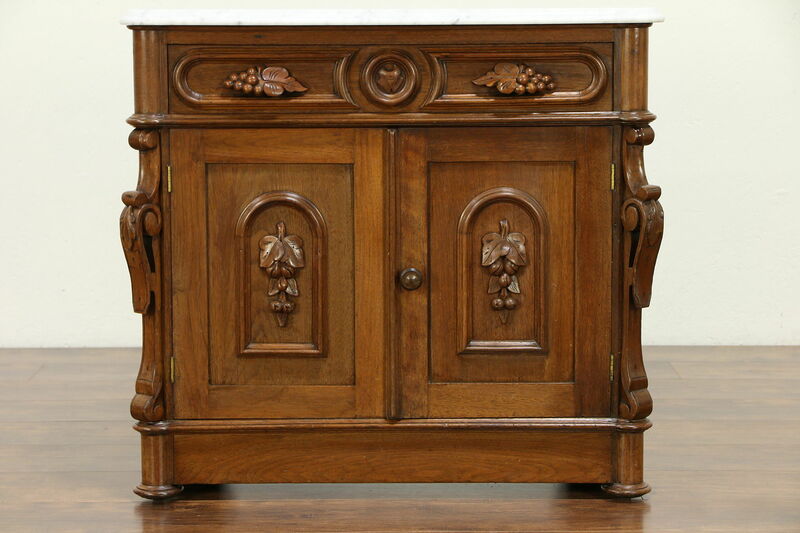 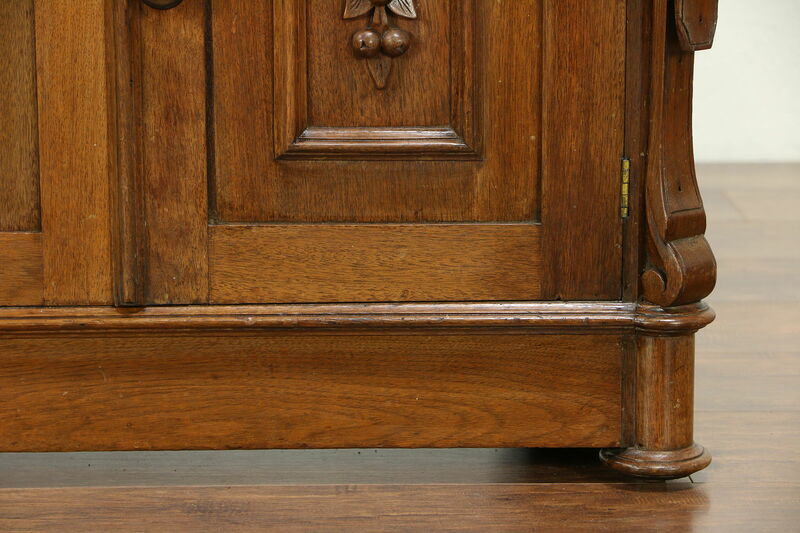 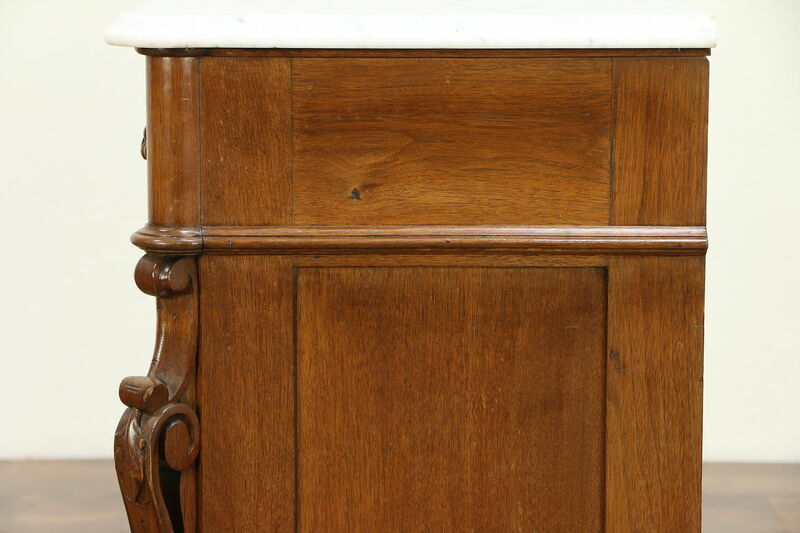 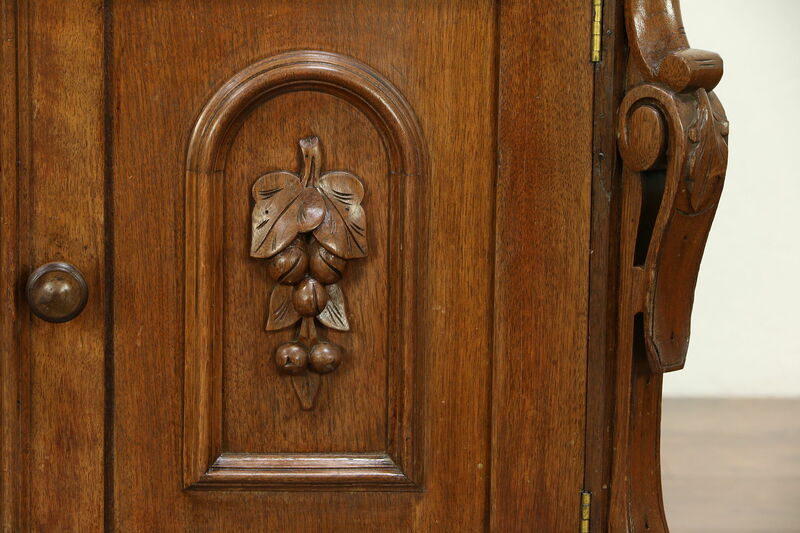 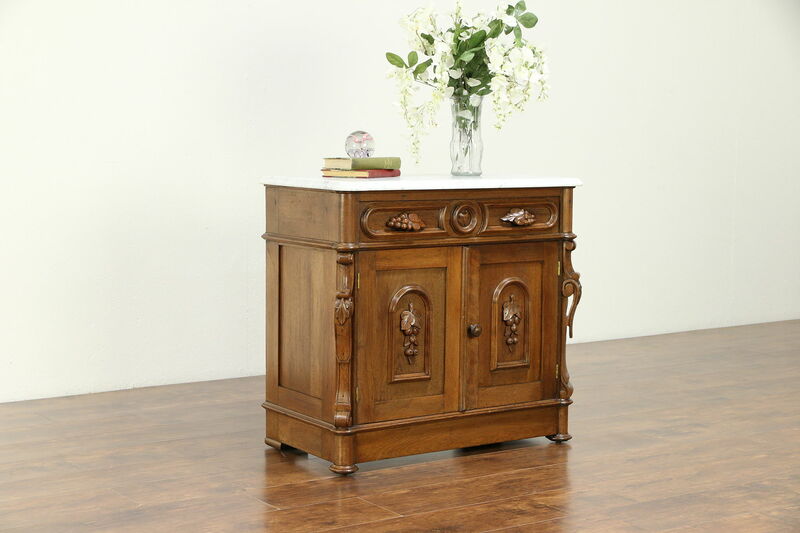 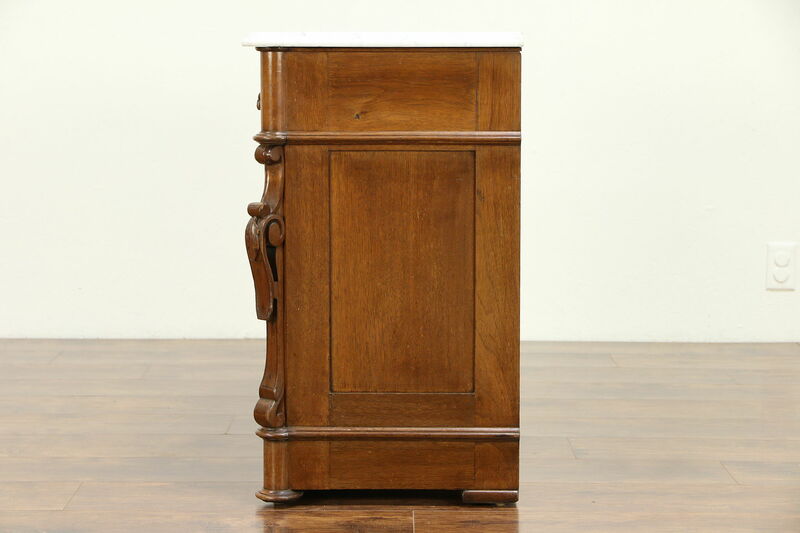 Solid walnut with deeply sculpted details, this antique furniture was American made about 1860. 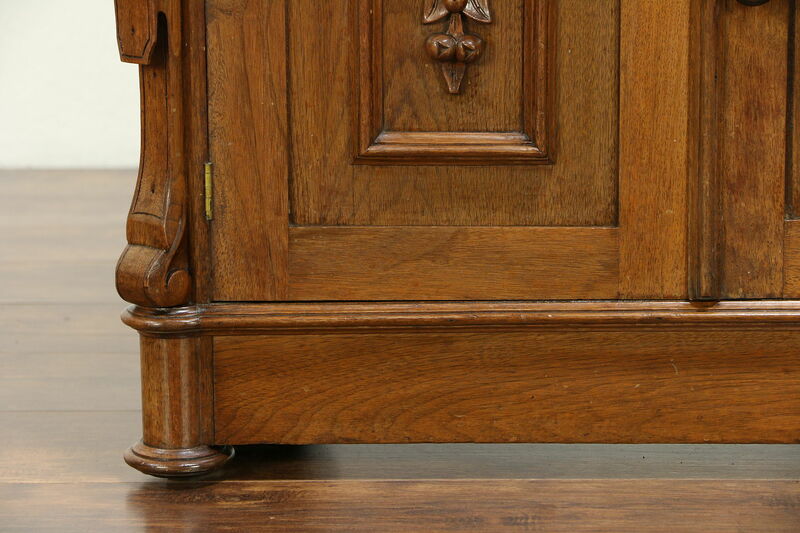 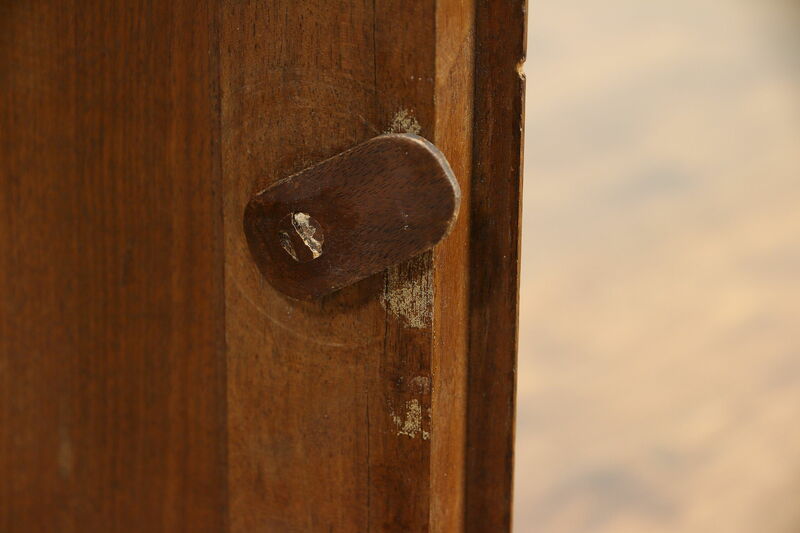 The restored satiny finish is in excellent condition. 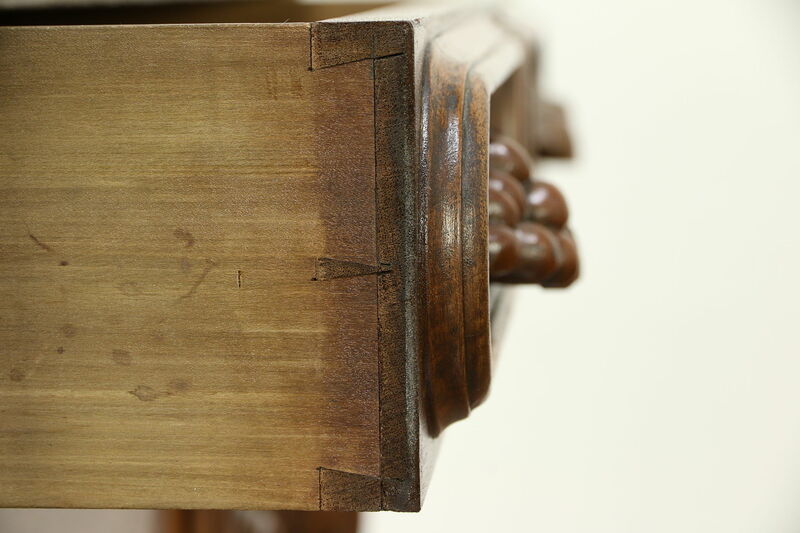 A drawer has hand cut dovetail joints. 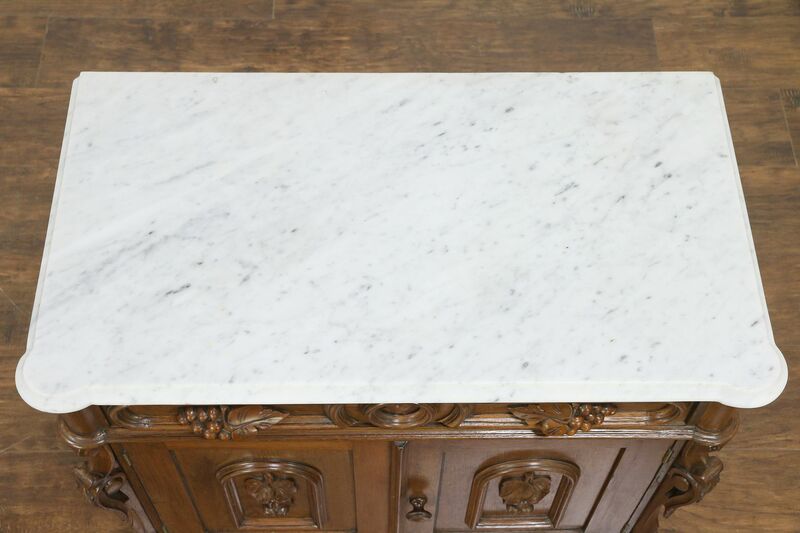 The marble has been polished and given a low luster protective finish. 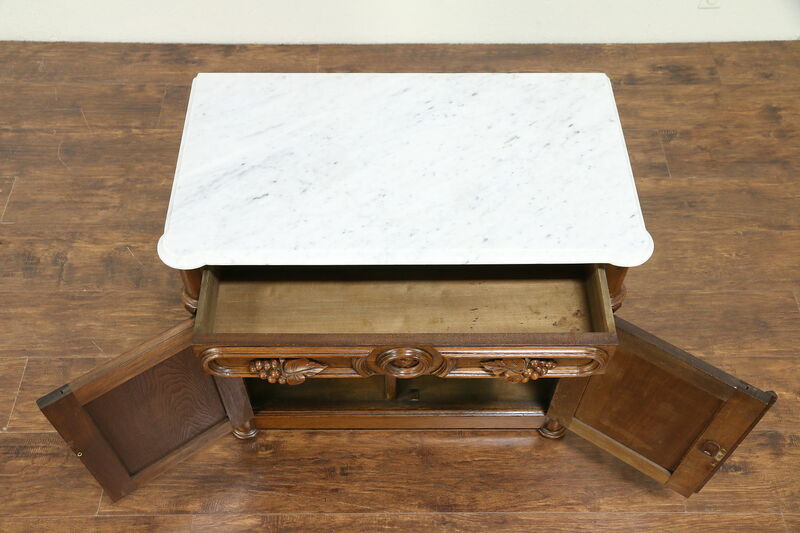 Size is 31 1/2" wide, 17" deep and 29" tall.